Fr. Robbinson was born in 1818. He was ordained in January 1842 and passed away just three months later on March 18th 1842 at the age of 24 years. He is laid to rest within Menlough Church near the top of the main aisle beside the west wall. A memorial stone was placed on the wall to mark his grave by the Late Rev. John J Noone during his time as PP of Menlough. At present I do not know if Fr Robbinson was from the area or was ministering in the area. 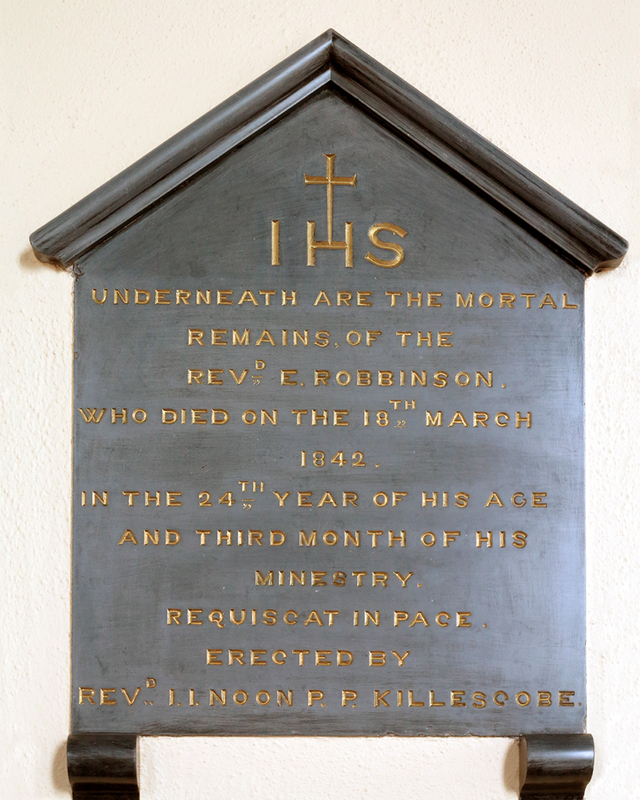 Further information on Fr Robbinson would be greatly appreciated. This page was added on 19/06/2015.